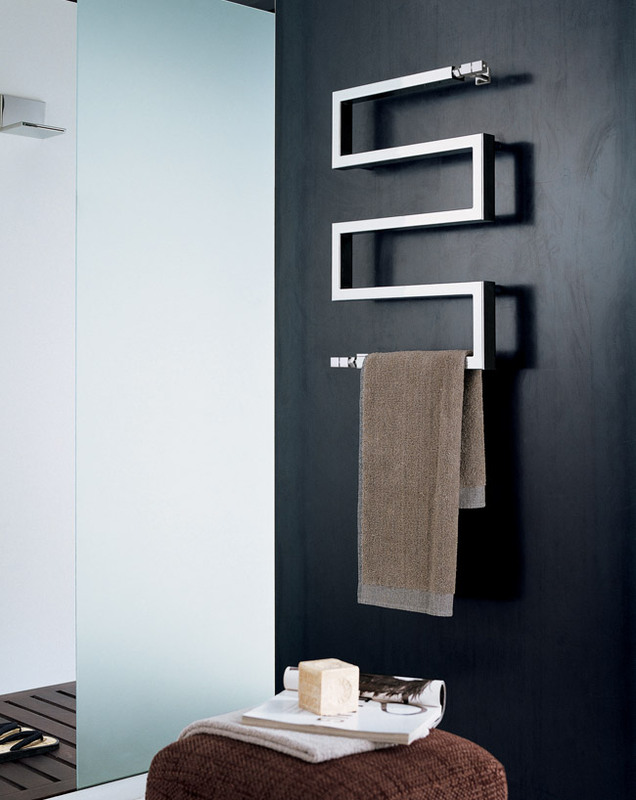 This highly designer towel rail is the latest in Italian design and is sure to cause comment when viewed in any bathroom. Designed for both central heating and electric only systems this towel radiator produces 285 watts of heat in a brushed stainless steel finish. 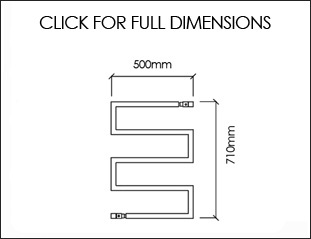 Please note the Cubic Snake radiator valves are included with the central heated towel rail. * Central heating and electric only formats. 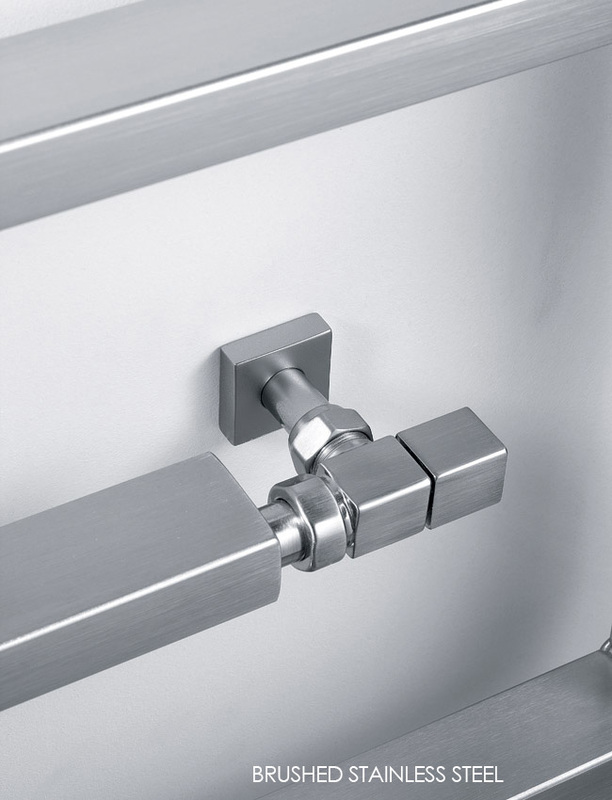 * Chrome and brushed stainless steel finishes. 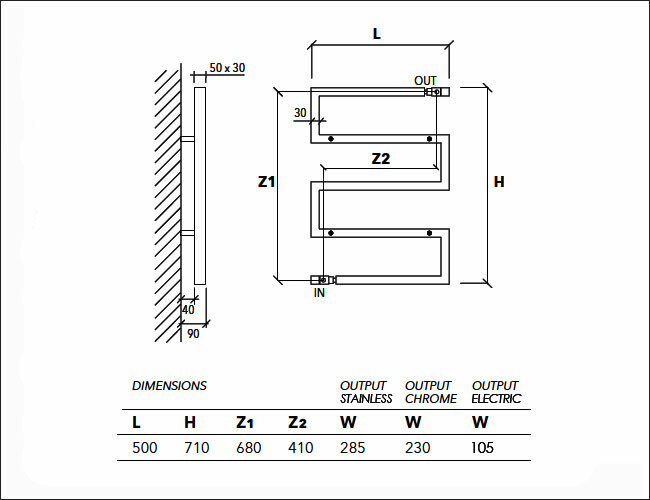 * Central heated rails include cubic tap valves. 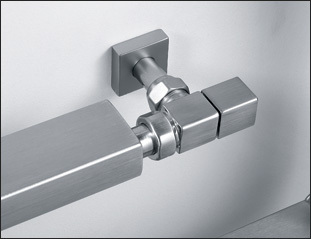 * Brushed stainless steel or electric only formats to special order.